Turkish PM: We didn’t ask US gov’t for evidence of Sept. 11, why do you ask for it when it comes to July 15 coup attempt? 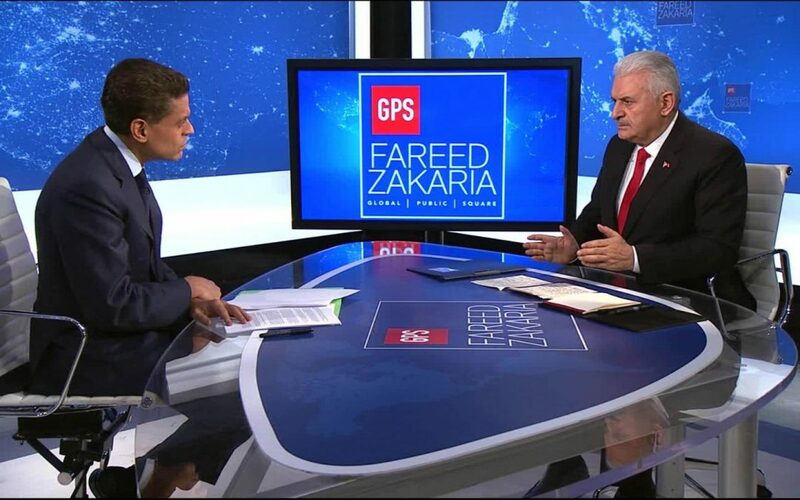 Amid reports that Turkey may have offered $15 million to a former adviser of US President Donald Trump to illegally remove Turkish cleric Fethullah Gülen to Turkey, Turkish Prime Minister Binali Yıldırım criticized Washington for not taking steps on Gülen’s extradition, telling Fareed Zakaria on Sunday’s “GPS” that Ankara did not ask the Americans for evidence of the Sept. 11, 2001 terror attack. Fethullah Gülen, who lives in the United States since 1999, is accused by President Recep Tayyip Erdoğan of masterminding a failed coup in Turkey on July 15, 2016. Gülen denies any involvement in the putsch. The Wall Street Journal reported on Friday an alleged plan that involved former National Security Advisor Michael Flynn to forcibly remove Gülen in return for millions of dollars is being investigated by Special Counsel Robert Mueller. Michael Flynn and his son, Michael Flynn Jr., were to be paid as much as $15 million to hand Gülen over to the Turkish government under the alleged proposal, according to people with knowledge of discussions Flynn had with Turkish representatives during a reported meeting in December at the 21 Club in New York City. When earlier asked by foreign reporters whether the US was involved in last year’s July 15 coup attempt, Yıldırım said there was a ‘prevalent opinion’; among the Turkish people that America was behind it, in particular because the US had not taken any steps regarding the extradition of Gülen. “We [the government] did not establish this opinion,” he stressed. Then-Minister of Labor and Social Security Süleyman Soylu stated on July 19, 2016 that the US was behind the coup attempt.